¿Viajarás a Japón muy pronto? 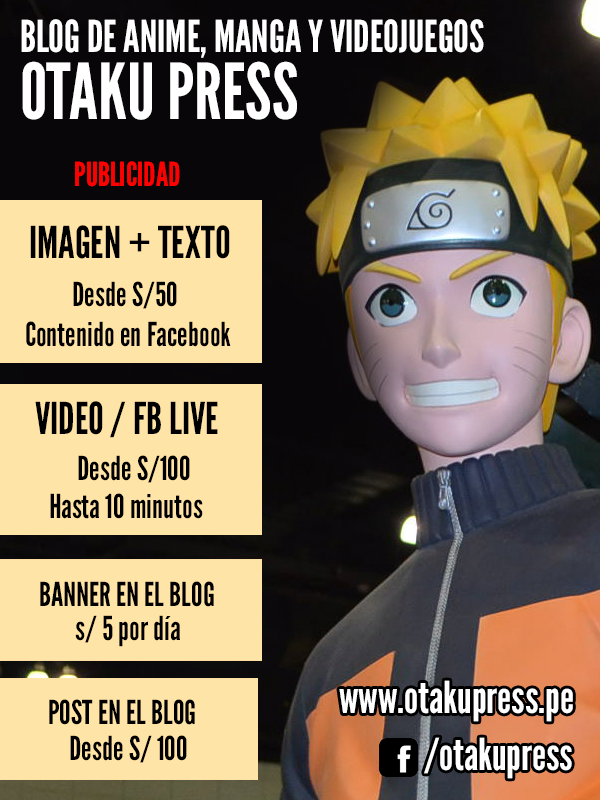 Otaku Press está alistando su viaje otaku para Tokio, y llegó a nuestras manos una guía muy interesante. Tokyo Geek's Guide de Tuttle Publishing es el libro ideal para tu primera visita a Japón. Normalmente van a encontrar publicaciones sobre la cultura japonesa, en general, pero esta publicación es especializada para los fanáticos del anime, manga y videojuegos. Gianni Simone, autor del libro, es corresponsal de Japón para la revista Vogue Italia y un colaborador para el diario The Japan Times. ¿Por qué deberían comprar Tokyo Geek's Guide? La calidad de las páginas es muy alta. El papel couché le da durabilidad para cuando estés en pleno viaje. La tapa de la portada es plastificada. Si llegas a Japón y no tienes idea qué lugares son los que no te puedes perder, esta guía te responderá todas las dudas. El libro tiene un análisis general por industria: manga, anime y videojuegos. Luego empieza lo más destacado: un repaso de cada barrio otaku. Akihabara, Shibuya, Harajuku, Ginza, y otras zonas comerciales son presentadas en páginas a color con múltiples fotografías. Vas a encontrar mapas detallados con la ubicación de las tiendas que puedes visitar en Tokio, webs oficiales y los horarios de apertura para que empieces tu calendario de actividades diarias. 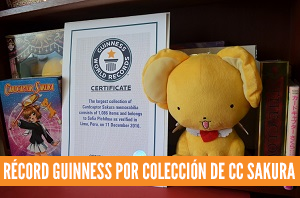 Además, hay entrevistas a reconocidas personalidades como productores de anime, cosplayers e influencers del mundo otaku. 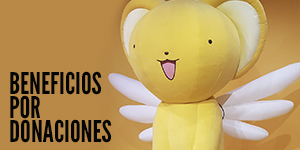 Lo mejor: La lista de puntos de encuentro otakus es de gran utilidad para cualquier fan, y las entrevistas me atraen también (quizá por ser periodista). Lo observable: Luego de leer el libro entiendo que, en Estados Unidos, el término 'geek' se traduce como parte de la cultura otaku también. En América Latina, 'geek' suele abarcar a los aficionados a la tecnología (videojuegos quizá también). Yo hubiera usado 'otaku' en el título del libro. Tokyo Geek's Guide está disponible en Amazon y en versión digital para Kindle. Are you travelling to Japan very soon? Otaku Press is getting ready for our otaku trip to Tokyo. In order to organize everything we are following a very interesting guide. Tokyo Geek's Guide (Tuttle Publishing) is the ideal book for your first visit to Japan. You usually find publications about Japanese culture in general, but this book is specialized for anime, manga and video games fans. Gianni Simone, author of the book, is Japan's correspondent for Vogue Italia magazine and contributor to The Japan Times. Why Tokyo Geek's Guide is a must for otakus? The quality of the pages is perfect: coated paper gives you durability for your tip. The cover is plastified. If you travel to Japan and have no idea which otaku places to visit, this guide will answer all your questions. The book has a general analysis by industry: manga, anime and video games. Then you will have the full menu: a review of otaku hot spots. Akihabara, Shibuya, Harajuku, Ginza, and other areas are featured on color pages with multiple photographs. You will find detailed maps with the shops locations. Simone added interviews with renowned personalities such as anime producers, cosplayers and influencers from the otaku world. The best: The list is a must-to visit. It is very useful for any fan. I think interviews give new perspective to the guide. I loved them. The observable: After reading the book I understand that the term 'geek' represents otaku culture as well (in the United States). In Latin America, 'geek' usually defines techies (gamers too). I would have used 'otaku' in the title. This is the most comprehensive Japan travel guide ever produced which features Tokyo's geeky underworld. It provides a comprehensive run-down on each major Tokyo district where geeks congregate, shop, play and hang out—from hi-tech Akihabara and trendy Harajuku to newer and lesser-known haunts like chic Shimo-Kita and working-class Ikebukuro. Dozens of iconic shops, restaurants, cafes and clubs in each area are described in loving detail with precise directions to get to each location. Maps, URLs, opening hours and over 400 fascinating color photographs bring you around Tokyo on an unforgettable trip to the centers of Japanese manga, anime and geek culture. Interviews with local otaku experts and people on the street let you see the world from their perspective and provide insights on what is currently happening in Tokyo now (which will eventually impact the rest of the world)! Japan's geek culture, in its myriad forms, is more popular today than ever before—with Japanese manga filling every bookstore; anime cartoons on TV; and transformer toys and video games like Pokemon Go played by tens of millions of people. Swarms of visitors come to Tokyo each year on a personal quest to soak in all the otaku-related sights and enjoy Japanese manga, anime, gaming and idol culture at its very source. This is the book they have to get!